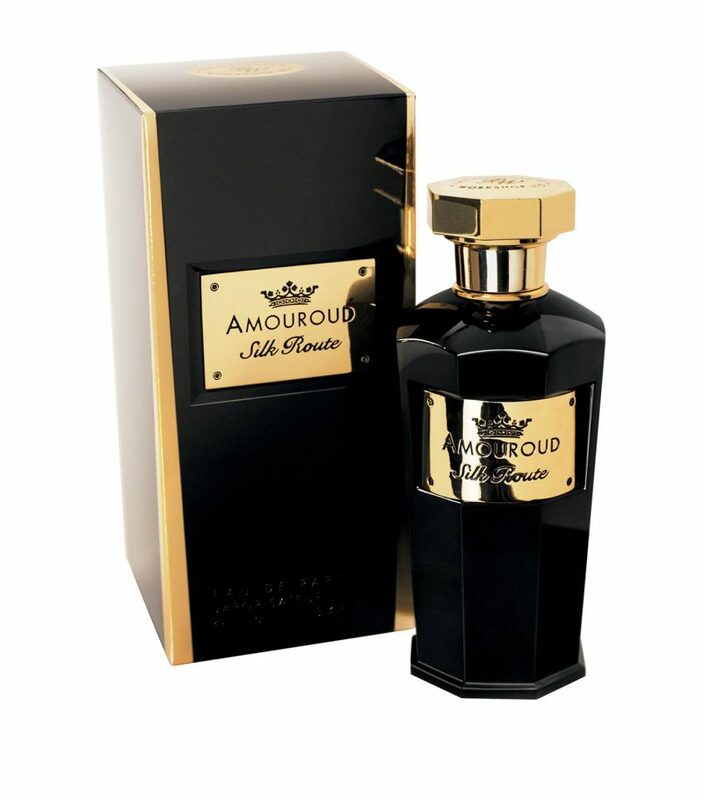 Should you yearn for a fragrance that envelops a feather-like and softest of textures, whilst bestowing upon you, a sensation of being wrapped in luxurious velvet, Silk Route by Amouroud is where it’s at. Within this spectacular unisex scent, you will discover an ensemble of spices that portray inner power and depth. These are built on a solid foundation of expensive and precious oud to reveal further depth and meaning. Immortelle and Jasmine combine to encapsulate its delicate intimacy, with soft and tender precision; in short, the new fragrance by Amouroud drives an arrow to the centre of every heart. Silk Route is the perfect collaboration between wood, spices and flowers. The intoxicating scent is one that would spark fast addiction, and its solid formulation means it’s presence remains heard, thus allowing for longer enjoyment. Silk Route is incredibly soft yet it’s irresistible power ensures the fragrance can never be forgotten. The initial slightly sweet aroma of clove bud is quickly soothed by the accompaniment of star anise and other intrinsically timed top notes, bergamot and ginger. Next, Silk Route offers soul-nurturing middle notes comprised of floral yet sweet immortelle, of which are then enhanced by the refreshing and heart-warming whispers of the three companions, lavender, narcissi absolute and tuberose. As we breathe in the warm base notes of benzoin and vanilla, we are gently reminded of pure luxury that Amouroud’s Silk Route unveils. Tonka bean is included in this outstanding composition due to its unmistakable sensuality and warmth. The inclusion of incense successfully evokes a hint of smokiness of which conjures the rise of these beautifully connected scents all around you with shaman-like power. Upon inhaling the aroma, you will immediately sense the fragrance’s superiority and high value. Perfumer Irena Burlakova gathered inspiration from the well-known silk route (or silk road) that spanned from East to West, connecting Asia and Europe with routes that brought aromatic spices, fabrics, jewels and perfumes. This fragrance transcends the senses to a mystical time of connection, fortune and travel. Silk route by Amouroud is an oriental unisex fragrance of which was launched in 2016. Top notes are: bergamot, star anise, clove bud and ginger. Middle notes are: French lavender, narcisse absolute, tuberose, immortelle, resinoid. Base notes are: Tonka bean, leather, incense benzoin and oak moss. This insanely good fragrance is available exclusively at Harrods.